A Beautiful Ruckus: What Would You Do? Hmmm....conundrum. What would you do? A sweet friend gave us a gift card to Pizza Hut back when the kids came home from the hospital. I decided that instead of using it right away, I would save it for a day when I was just too beat to fulfill all of my mom duties. Many of you know that for the last couple of weeks, I've been struggling with the shifted role that is: Toddler Mama. Exhausted. Never caught up. Trying to stay consistent. And getting up each morning by the grace of God. I think people have been praying for my endurance because the heaviness of this chapter hasn't been weighing quite as much on me over the last week. But last weekend, I was still trying to get my head up. And that's when I looked at Sean and said, "I have a Pizza Hut gift card that I've been saving, and I want pizza for dinner." No cooking and minimal cleanup sounded better than digging out my chef hat and fixing supper for the family. Being the thrifty person that I am, I found a coupon code online for 20% off of my first online order. Awesome! I could stretch that gift card a little further! Booyah! And that is promptly where the experience spiraled downward. It ended up being one of the most frustrating ordeals that I have ever had with a business. I'm not one to go looking for confrontation. Truly, I very rarely ask for a manager for anything other than to praise a new employee or let them know how much I appreciated the service. I LOVE doing that! It means so much to the people who are praised to their bosses! But it was such a frustrating ordeal that I felt like I needed to lodge a complaint with the company. On their FaceBook page, they tell people to email their complaints to them, but then limit the amount of characters they can use, so I eventually sent an abreviated version through the system and the detailed version went on their FaceBook page. "I tried to go to the web address that you are giving to everyone else to log my complaint, but it won't give me enough characters to "give the complete details." I am a first time customer who ordered pizza tonight for my family and it was a horrible experience. 1. I spent 20 minutes trying to order my pizza online. I had a coupon code which the system wasn’t taking. I tried several times to put it through, and it wouldn’t work. And yes, it was a valid coupon code. 2. I decided to call the number listed for the store (which is apparently a call center) and ask if I could order that way. They said that I could order the pizza but I couldn’t use the coupon since it was an “internet only” deal. I explained that I had already spent 20 minutes trying to make it work online, and the system wasn’t putting it through. The guy repeated that I had to order online to use it. I reiterated that I would if the online ordering system would cooperate, but it appeared to be having trouble. He then suggested I take my coupon to the store and ask them if they would apply it. I told him that it was a coupon code that I got online and I didn’t have an actual coupon to take with me. He then told me that he doesn’t even like pizza so he didn’t know how to use an online ordering system and couldn’t help me out. I was frustrated, but asked him to put the order through anyway as I still needed to feed my family dinner. 3. I arrived at the Pizza Hut location about 45 minutes later and the store didn’t have a pizza for me. In fact, they didn’t even have an order. The manager came out to help me and called the call center to find out if they sent my order to the wrong location. I gave him the phone number I used when I ordered over the phone. The manager asked for a supervisor who told him that they didn’t have an order for me either. He then told the manager that I never ordered a pizza. The manager said that I did order a pizza, and I was standing right in front of him. The supervisor then said a few other things to which the manager responded that I wasn’t lying and that I did indeed order a pizza. I don’t know what the supervisor said, but the manager hung up very frustrated that they would say what they did about my order. He told me that they were refusing to take responsibility for my missing order. I guess the original guy I talked to didn’t put it through. 4. The manager was fantastic and did everything he could to correct the issue. He immediately put in my pizza order and gave it to me for free for my trouble. He is the only redeeming part of this whole situation. While I appreciate that the manager tried to make it right, I’m really, really offended that the call center supervisor would say that I was lying. Really? Lying for a $10 pizza?? I assure you that I have much better things to do than lie about a pizza order! And I’m actually an honest person, but I guess since the supervisor wasn’t talking to me he just decided to shift the blame to me. Ordering a pizza was supposed to be the easy way to do dinner. Instead, it was a hassle and I was called a liar. In the future, I won’t be ordering from Pizza Hut as I need easy dinner options and I don’t appreciate being insulted. Bummer, since the pizza was actually pretty good. P.S. You should give that manager a raise for cleaning up after the mistakes and problems created by the call center! He was incredibly nice and apologetic for the issues that I had. His name is Ibn and he is the manager at store 4704." I thought that I was pretty nice and calm with my details considering how HOT I was. Within an hour, I got an automated email with an Incident Report Number and a note that said a representative would contact me in a few days. Then about five minutes later, I got a second automated email saying "thanks for the feedback." At the same time, Pizza Hut wrote on the comment that I left on their wall that they saw the abbreviated report that I submitted through the website and were forwarding it to the proper people. And then I heard, ".....*crickets*....."
I was wondering how long it typically takes for some sort of response regarding the way I was treated last week at Pizza Hut. It's been 6 days and I'm still waiting to hear from someone. My incident report is 0100024076. And at the end of it, I included a saved version of the original note that I left on their wall. "Rebecca, we never meant to over look you. Please provide us your contact information and the details at www.pizzahut.com/phcares so we can follow up on this." So...they want me to submit another form to get a second Incident Report Number that complains that the first Incident Report Number was never responded to....but I included the original Incident Report Number for them to reference! Now I'm frustrated all over again. Part of me just wants to let it go. While this didn't take a lot of time, it still took some time. But part of me feels like there is a principle here! Hmm...thoughts? What would you do? And what would you consider necessary to "make it right?" Honestly, I would give up & write off Pizza Hut. That would be so frustrating. When I had an issue with Papa John's online ordering, I received calls back and follow-up emails within two business days. We typically do Digorno or the Costco version of it (even cheaper and just as tasty! ), but if we do order pizza, it's normally Papa John's. I've never had an issue with them. Online ordering works great, pizza is always good quality, and customer service has never been lacking. It's good to know that if there is an issue, they take care of their customers. I agree, Olusola! This would have been so easy to fix at any point in the process...even a return email apologizing would have gone a long way! If an issue like this isn't solved in a timely manner, then you do if need to walk away and cut your losses. It is causing u unneeded stress and your time and energy. there is a matter of "principle" but at what cost?? A "free" pizza is now costing you so much more than what it's worth. like the above comments - take your business elsewhere. True. It's not worth losing MORE family time over pizza. Because that's what I lost the evening that I tried to order Pizza Hut. Sean and the kids got to play together while I was trying to find the "easy" way to do dinner. Respectfully, I disagree with the people above. But I would not submit another online form. I would follow up by phone and talk to a real human. They NEED to hear this story. It's appalling. However, you are also a mama to a young growing family and I guess the overriding issue is, do you want to spend your precious energy in this way? Because I would totally understand if you decided that you'd prefer to spend your energy playing with your kids!! And the take-out pizza was supposed to help me save my energy for my kids! Grr...didn't quite turn out that way. I think I agree, you have expressed yourself and many will see your comments here and on Facebook. I doubt the quality of their pizza and service is such that even if they did make reparations you would enjoy it much. Let it go like a trapped bird in your attic, love your babies, and give yourself some room. It is perfectly all right to serve cold cereal, PB&J sandwiches, cheese strips and crackers for dinner if you are tired. That perfect mother image is very heavy and much like the Pizza Hut incident, full of frustration and dissatisfactions. You are doing a phenomenal job and have made it through some very tricky spots with all of this 4 babies at once, take a deep breath and buy some frozen pizza's to put in your freezer. Your kids and husband will still love you. Thanks for the encouragement! And you know what? You're right. There is nothing wrong with grabbing a bunch of stuff out of the pantry and telling my family to have at it. :) Thanks! I had a similar experience when I tried to use a PH gift card. I finally concluded that PH does not allow combinations of coupon + gift card purchases. So I used part of the gift card amount on one purchase (with no coupon) & still had some value left on the card. I tried numerous times to use the remaining balance, but it appeared they are not set up to put part of the cost on a gift card & the remaining amount on a Visa. Seth & my son have worked on "point of sale" software", so I know if the cash registar is not set up for a specific scenario (ie. coupon + gift card + Visa) it is pretty much impossible to make it work. I ended up throwing away the remaining balance on my gift card because it seemed impossible to use it for a partial payment. You know, the people I have seen working at PH are kids (to me). They are probably making close to minimum wage & have no training for dealing with unusual problems. I am sure none of them have BA degrees. Also sure none of them aspired for their job at PH. They just want to work their hours & go home & forget about it. And really, if someone gets fired from PH, is it really a bad thing? If it was me I would count firing as a blessing - Hello unemployment checks! You already got one free pizza. I worked in restaurants for 6 years & know that free food is about as far as atonement goes. Just think, if they DO give you coupons, do you really want to go through the hassel to use them? I guess the only other thing that could be done is taking them to small claims court, but I don't know what you would hope to gain by suing them. I never actually got as far as telling the online system that I had a gift card. It shut me down at the coupon code! And if what you are saying about a gift card + coupon code is correct, than that is just plain wrong! I was very nice to the store staff even though I was frustrated. It was most certainly was not the store staff's fault! The response I'm looking for is a corporate response since that is where the issues are. Hmm that's a tough one! I usually like to follow through with these types of issues because I feel it isn't fair, but in this case I'm not so sure. It sounds like Pizza Hut aren't concerned and don't seem to think it is urgent enough to get back to you, and unfortunately this is the way for many large companies. You are a busy mama so it depends how much time you feel you can dedicate to following this through - what does your husband think? Sean said that if I look at the economics of the situation and put a dollar amount on the amount of time that has been spent on this, that I've lost way too much time with the family. I know he is right. Personally, though, I would really like to see this through. Regardless, no more family time will be spent on this. I know that much! 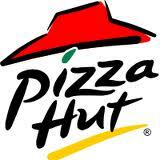 I have more often than not had problems with Pizza Hut & really prefer not to have it anymore. I did find that Papa John's is great pizza and has wonderful and caring customer service when I called to complain about a driver one time. And the best part about Papa John's is the reward system they have, the more pizza you order online (which is very simple with them) the more points you earn towards FREE pizza. And they even added extra points at the beginning of the school year just for being a rewards customer! I know it's hard with little ones in the house and everything that you have to buy for them to throw out a perfectly good gift card or forget about using what seems to be a great coupon, but at this point it seems that may be the best option. By the way, I LOVE reading your blog an visit very often whether I leave a comment or not. You are right. I've never had an issue with Papa Johns (we used to grab it on occasion during our pre-kid days). Now I pretty much stick with frozen pizza unless I have a gift card or Papa Johns sends me a coupon for a free pizza. I will go ahead and use my Pizza Hut gift card because I can't bear to throw it away, but I will probably just go into the store and order there. I've worked at Pizza Hut and let me tell you, there have been so many issues with online ordering -- you'd think they would get a better system. People would come in and said they ordered a pizza but there would be no order for it, very similar to your situation. I understand your frustration. When ordering online, I've always used Papa Johns. Their online system seems to be pretty reliable. Also, for good cheap pizza, my fiance and I like Wal-Mart's take and bake. We put our own toppings on a large cheese and it's more than enough. Costco's is great too! Costco does have great pizza! Though, I'm such a fan of pizza that I rarely meet one that I don't like! I find it interesting that they don't fix their online system if the problems are so rampant. Seems like that would be the first step to developing better customer service. I'm sure it's just as frustrating behind the counter to have someone coming in for a pizza and you've never seen the order. I'm sure you are done with this whole thing at this point and rightly so, but there is a phone number to call if you still want to. Honestly, I'd let it go. Speak with your dollars and take your business to a nice local pizza shop where they actually value your business. Thanks for the phone numbers! I didn't see them when I was looking for a feedback option. I'm officially finished with it now. You are right. Local is the way to go if we are going to go out for pizza! Otherwise, we do enjoy a good pizza from the freezer from time to time!